First inland built motel in Western Australia. All rooms have ensuites, fridge’s, kettles, toasters, irons, air-conditioning, 42” flat screen digital tv’s, foxtel and wi-fi. The Gumtree Restaurant offers a daytime restaurant and evening room service. Breakfast trays and a packed lunch are also available. The Olympic Motel offers superior accommodation at affordable prices, with a choice of rooms to fit all your needs. 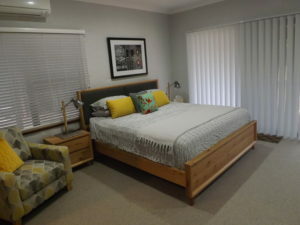 All rooms have private ensuite, reverse cycle air-conditioning, 32″ LCD HD TV’s all with Foxtel and High speed ADSL+2 business grade Wifi + Modem connection. Rooms also contain microwave, tea/coffeemaking facilities, toasters & BBQ access. Meals available from our onsite restaurant, Denzils. Plenty of free parking right outside your room. Located next to the BP Roadhouse on the Gt Eastern Hwy. 3 Bedroom Apartments available (similar nightly rates to motel – call for availability). 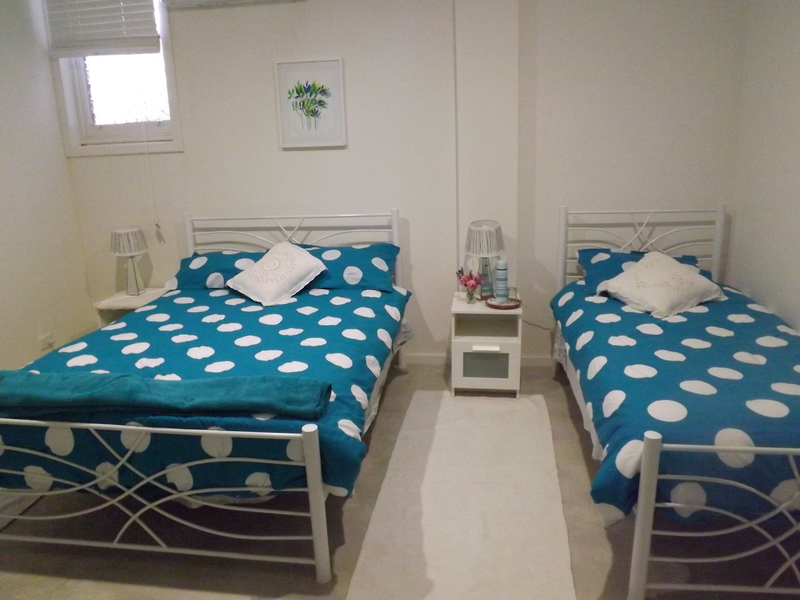 Contain full kitchenette (stove, oven, grill), full laundry, BBQ, foxtel, aircon, 3 bedrooms. (fully serviced for long term). Family Unit: $145 for 2 plus $10 per adult or $5 per child under 12. Deluxe 2 room unit: $150 for 2 plus $10 per adult extra. The first Motel on the Great Eastern Highway travelling from Perth. Lovely Motel Suites with private off street parking. Reception open 10am – 10pm daily. Contemporary motel suites with a choice of King or Queen sized bedding. All motel suites come complete with 42inch plasma TV’s fully airconditioned, private ensuite, microwaves, crockery, cutlery, glassware, kettle with tea and coffee making facilities, toaster & irons. Studio’s from only $99 per night and enquire about special longterm rates. 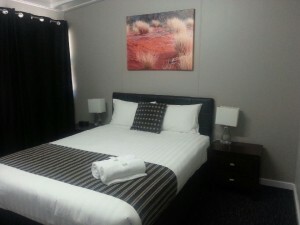 Merredin’s premier accommodation with a choice of upmarket Motel Suites and 1 bedroom suites, airconditioned, with lounge area & dining room, private ensuite, 50inch plasma TV, microwave, refrigerator, toaster, kettle, crockery, cutlery glassware, hairdryers and irons. Continental Breakfast boxes together with light refreshments available in reception. Quality 4 star accommodation. 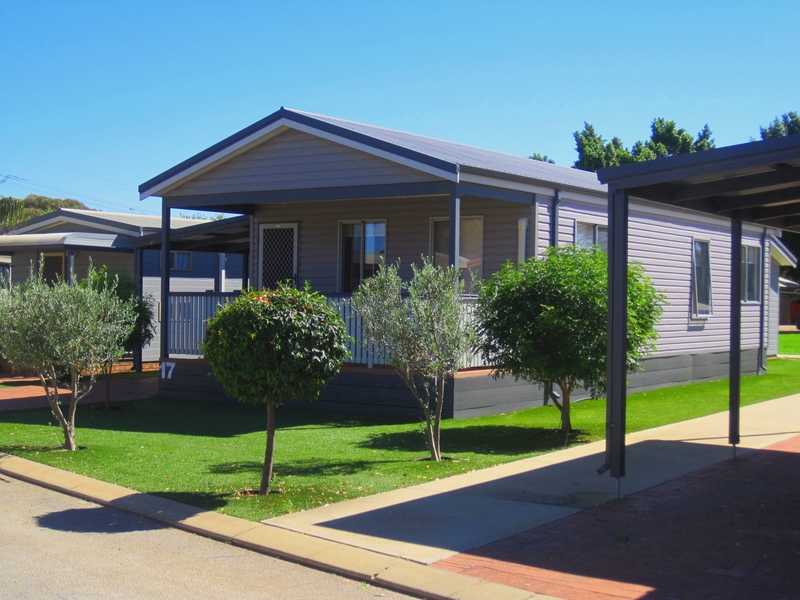 Catering for all visitors with accommodation for caravans and tents, work camp budget ensuites, 1 & 2 bedroom villas and our two bedroom luxury villas, the Merredin Tourist Park is a welcoming rest point on your travels. Located on the Highway just east of town we are easy to find! Guest laundry, swimming pool and lounge area open during daylight hours over summer, comprehensive tourist information display and knowledge at reception with staff always happy to offer suggestions and advice. Our onsite accommodation options are fully furnished and self contained. Budget non-ensuite Single (with access to quality ablution block) $60. Located on Bates Street a short walk into town. Rooms with queen sized bed and shared bathroom. Restaurant meals available. Breakfast available on request. Lovely country home in ideal location 5min walk to main street, train station, Cummins Theatre and shops. Train pick up if required. Coffee & Cake on arrival and Credit Card facilities. Wheelchair access and parking with ramp to home. Three large bedrooms with Breakfast included. Other meals by prior arrangement. 1 Queen Bed and 1 x Single Bed with Ensuite: $180. 2 King Single Beds with Wheelchair access with shared Ensuite: $150 per person. All beds have electric blankets, wood fires in lounge and kitchen for a cosy winter stay. Coffee Machine, foot spas and hair dryers all available for use. Games, cards, bocce and books to read. Centrally located opposite Cummins Theatre. Homely ambience in 1930’s former bank residence decorated to the period. Surrounded by lovely gardens. 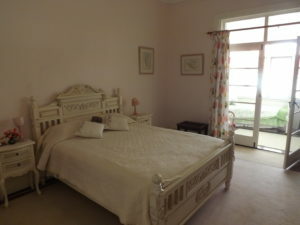 The Merredin Bed and Breakfast has four double and one queen room all air-conditioned. Use of kitchen, dining and lounge areas. TV and DVD in lounge area. Breakfast included. Apartments : 3 Self contained apartments are available which includes ensuite, kitchen, double bed and lounge area. Tariff on application. Self contained apartments with kitchen, living area and bathroom. All apartments airconditioned with secure parking onsite. Self-contained, spacious unit on a sheep farm, one queen bed and one single in separate bedrooms. Additional bed (folding) available. Separate heritage (1984) caravan with two single beds, no ensuite, 70m from the Lodge also available. Quiet and private. Located 3km from Merredin. Kitchen facilities and gas BBQ available. Undercover parking at the door. 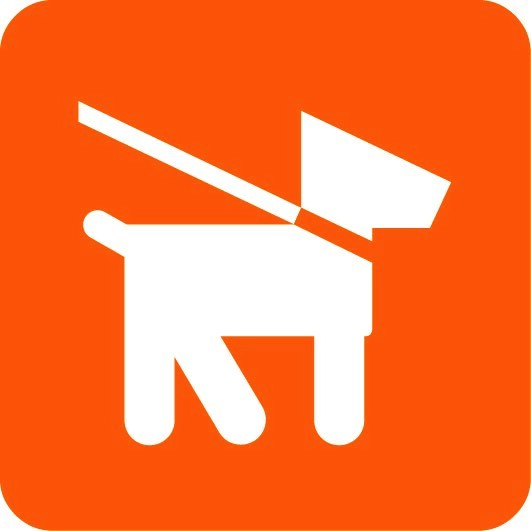 Pet friendly, a kennel, large dog pen and large round yard for horses are available. 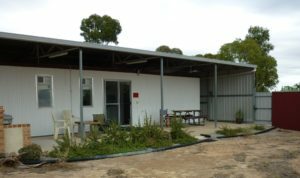 Westbrook Merredin offers two self-contained studios, offering guests private accommodation surrounded by over 3 acres of picturesque gardens and bush land. Only minutes from the Merredin town centre. Guests enjoy a complimentary continental breakfast. Ideal quality accommodation for singles or couples, whether travelling for business or pleasure. Single Guest Room Rates: $155 per night with Continental Breakfast included. Couples Guest Room Rates: $170 per night with Continental Breakfast for 2 included. 5 x 2 bedroom units are also available in Yorrell Street for longer term stays. These have been renovated and each have two bedrooms with a queen size bed in each. Fully self contained with outdoor area and own washing machines. These units are rented on a weekly basis with a mid week service. The Weekly Tariff – $1085 For 1 Person or $1260.00 for 2 People.